I had the pleasure of interviewing Scott Fowler, JD, MD, FACOG, president and chief executive officer of Holston Medical Group (HMG). 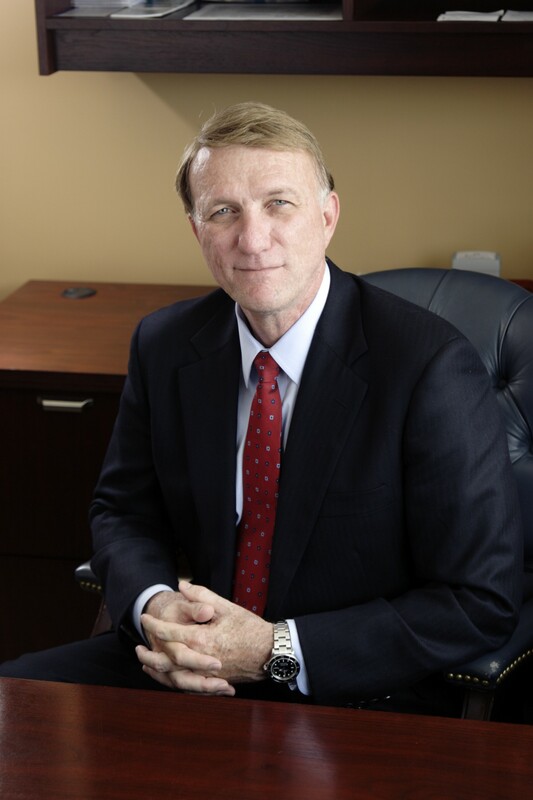 I had the pleasure of interviewing Scott Fowler, JD, MD, FACOG, president and chief executive officer of Holston Medical Group (HMG). He is also a nationally recognized expert and speaker on the role of physician leaders in creating value in healthcare, the importance of a common medical record to patient engagement and quality of care, healthcare innovation, and more. I always knew I wanted to do something where I could be of service to others. Following an undergrad degree in philosophy and a JD from law school, it felt purposeful to pursue an MD degree. To me, the legal and medical professions uniquely exemplify the philosophical underpinnings of duty and responsibility, and it was a career choice to combine these areas of knowledge. I truly believe that we make the world we live in by building the right relationships. To that point, improving patient care through an understanding of the relationships necessary to achieve better care is the cornerstone of my career. The most interesting part of my career has been the ever-changing struggle to control the rapidly inflating cost of care, which is directly associated with poorer outcomes. It is a quest fit for a lifetime of perseverance. The prize for cracking the code is better health for America. Holston Medical Group started out through a Robert Woods Foundation grant to introduce a professional healthcare organization into our community. The idea from inception was to be innovative and to bring care to our community that isn’t or wasn’t available. Early on, we brought in affordable diagnostic centers; urgent care locations and various specialties. Continuing to introduce new concepts and resources to our community and in a national platform allows for our fundamental story to live on — and it sparks national interest when they see that Holston Medical Group successfully offers low cost care and data sharing. We recognize, and pride ourselves on being a center of innovation and providing a patient-centric model of care. This year, we are adding a point-of-care clinical decision support tool to the HIE. This tool will take the complexity of the common health record and put it into specific next steps for the provider to achieve better outcomes improving care at the point of care. Leaders need to recognize that in value-based healthcare we don’t pick our most important employees and partners, they pick us. Our employees and partners need to know what the expectations and goals are, and we need to provide the vision and tools that will create success. As a leader and throughout my career, I stood on so many other peoples’ shoulders. They all helped me figure out that to expand your options you have to preserve them. However, I would have to credit my mom and dad for giving me that perspective and to appreciate and respect those that stood steady in principle as a foundation along the way. Ultimately, I would like to develop an exceptional model of value-based care across the US. Volume-based reimbursement for services has worsened care. We now have the financial imperative to change. For the profession of medicine, it is an existentially significant moment in history. Inaction by physicians to create value will doom the professional model of care required for value. We have an obligation to put patients first and improve value for our patients. 1. Technology is making it possible for patients to communicate with their doctor outside of the office — making medicine more convenient. This could be through patient portals or telemedicine. 2. Technology is allowing for providers to communicate easily with each other with common records, defragmenting care while providing more information to make better decisions. 3. Through the HIE, technology is improving the patient experience by allowing the patient visit to be more focused on care, tailored specifically, for that patient. 4. Technology enables decision support for providers, resetting the patient-physician relationship back as the primary focus rather than documentation as the primary focus. 5. Technology is also arming patients with information through wearable technology. This allows scientific level measurements of data to be collected for review by the provider. Transformation requires a new viewpoint and shift of direction, “If you are at fork in the road, the wisest choice is to take the road less traveled. My father is no longer alive. He taught me to persevere through tribulations. I have found the passion and the success in my life because of the leadership and motivation he demonstrated. One more private breakfast with him would be nice. On the other hand, I am open to breakfast with any of the biggest names out there — I hope they read this. Jilea Hemmings CEO & Co-Founder of Best Tyme. She is running a series on how technology is impacting healthcare. Jilea Hemmings is a staunch believer in the power of entrepreneurship. A successful career revamping Fortune 500 companies was not enough for her entrepreneurial spirit, so Jilea began focusing her passion into her own projects—beginning with the formation of her own consulting agency, Eshe Consulting, and the development of the innovative meatless entrée line for kids, Greenie Tots. Her passion for entrepreneurship and technology continues to flourish with the development of Leaf Tyme, a tech solution that connects dispensaries, brands, and medical clinics to customers within the Cannabis industry. With the Leaf Tyme App customers connect to licensed dispensaries and brands, learn about the cannabis laws in every state, and explore how Cannabis can help with common health conditions. Leaf Tyme supports business to business growth within the cannabis industry through streamlining the appointment setting process between brands and dispensaries. Jilea is also an advocate for diversity and inclusion in the workplace and is an influential speaker promoting the important role of women in technology. She believes that there should be no boundaries—neither class, race, nor gender—that should stand in the way of being able to use one’s purpose, passion, strengths, and talents to fuel entrepreneurial endeavors. 5 Strategies To Grow Your Private Practice with Dr. Abe Malkin.